A couple of years ago I wrote a post about the cost of living in Perth. At the time, we were renting and now we’re homeowners (yay!) I thought I’d better update that post as it gets a lot of eyeballs each month. As a homeowner there a few more expenses to be taken care of, so these will be new additions to the list. Massive disclaimer on this post though – this is our personal experience of the cost of living. We are a fairly frugal family, but we do like to enjoy life too so I think we live a fairly average life when it comes to spending. We don’t watch every cent, but we also don’t go overboard every week on luxuries. So let’s break it down into monthly costs and look at the cost of living in Perth in 2017. Compared to when we arrived a few years ago, rents are really competitive for tenants. You can find some properties for rent in decent areas for around $300 a week – this was not even an option back in 2013 and we were paying $420 a week for a tiny 3 bedroom cottage block in Butler. Borrowing $500k on an interest rate of 4.55% with Commonwealth Bank over 30 years would cost you around $2500 per month. Check out their online mortgage repayment calculator to find out what your mortgage could cost you if you buy a property. Utilities are very much dependent on how many people there are in your house, how many devices you’re all using and how savvy you are with your usage. Buying new energy efficient appliances will help cut your monthly gas and electricity bills. Gas jumps in winter as we have a gas heater which is worth every cent! If you have reverse cycle air con you use as heating your electricity will jump up in winter rather than your gas. We tried to switch our gas to Kleenheat to save money but then Alinta offered us 20% off for 2 years not to switch so we stayed – worth it to get a discount! As a renter, we used to just pay for usage, which was around $25 per month (no pool). As a homeowner you’re also responsible for usage as well as water rates, which works out around $100 per month for us (still no pool). Again this will depend on what kind of property you have but most people will pay around $1500-2000 per year on their shire rates (equivalent of SA municipal rates and UK council tax). We have buildings and contents insurance as homeowners which is around $50 a month. We have 2 cars, as do many families and after shopping around for a good price and decent cover, we pay around $900 a year for insurance on both cars, which is around $75 per month. For registration, we pay every 6 months (it’s a big chunk to pay annually) so this is just under $400 per car every 6 months. That works out to around $130 per month which we save each month (plus more for car servicing) and then pay out when needed. Fuel will depend how far you need to drive for work etc. Petrol is currently sitting around $1.20 a litre and we spend around $300 a month between us on fuel, with my husband driving quite far to get to work and me working from home and not using my car that much. Again this depends on what kind of cars you get. You can buy a cheap second hand car outright and have nothing to pay each month, or if you need a more expensive 2nd hand car or a new one, you’ll need to account for monthly/fortnightly loan repayments. On around a $30k car, you’re looking at around $600-650 per month depending on your interest rate. For a great deal on your car loan in Perth, speak to Ben from Bizi Loans. If you want to get pay TV there are some good deals to be had. We have Foxtel and our package should be $100 a month and I called up and asked for a discount and got it for $75 instead for 12 months. Netflix is $12 a month for HD which is awesome and has so much stuff to watch! You can get great deals on home phone and internet these days – so many providers are falling over each other to get your business. This will also be highly dependent on where you live and what services are available in your area. We’re still on ridiculous ADSL2+ and only get 200 GB per month. But with iiNet Netflix usage doesn’t count towards your usage so that at least is something. We pay $80 per month for phone and internet (but we don’t even have a home phone!) which I think is quite a lot for what we get. You can get unlimited internet and home phone with some providers for as little as $60 so as soon as we can get a better deal I’m switching! Virgin Mobile seems to be the cheapest for decent packages for mobile phone plans. On contract phones you can get decent phones for around $60-90 per month including the phone and your plan. I’d estimate the average person pays around $75 per month for a new-ish phone with calls and data included. You can go pay as you go and just buy credit as you need it but it’s not that much more to get a phone included. Most people choose to get private health insurance to help cover any gaps in payments for specialists or get onto private waiting lists quicker than waiting for the public system. There are so many different levels of cover depending on your family circumstances, ages and needs. We pay $200 per month for health insurance for a family of 3. Now we don’t eat red meat (shock horror as a South African I know! ), and my son is a very fussy eater so he doesn’t eat loads of different things – this probably has a big impact on our grocery shopping. I also bake and cook a lot from scratch and don’t buy many processed foods. People are always shocked when I say what we spend! We budget $150 per week and generally stick around this. I do know many people pay more though, especially if you have ravenous kids at home! I’d say most people would budget more around the $200 mark on average. Hop online and do a Coles or Woolworths shop and see what your weekly shop would come out – many products are familiar so it shouldn’t be too hard to figure out. 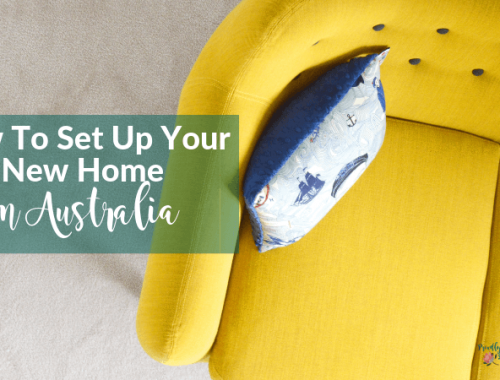 These things are often overlooked, especially when you first arrive in Australia, but once you have settled into life and especially when you’ve bought a house, they need to be looked at and put in place. 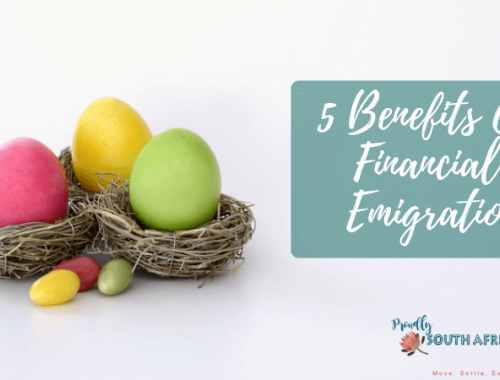 I can’t estimate the costs for these – you need to speak to a financial advisor – I recommend Jacques Hugo from LUDA Financial Solutions based in Joondalup. As you can see there are a couple of luxuries here (a new car, Foxtel and Netflix), but they aren’t unrealistic. In winter it’s great to have some good TV to watch – free TV is awful and full of ads so you can barely stay awake trying to watch a movie! And yes some of this is very dependent on your lifestyle and expectations, but it’s a great starting point if you want to get a feel for what your monthly costs may look like when you live in Perth. There are always other expenses, like daycare if you have young kids, before or after school care, vacation care, school fees (if you go private) and a whole host of other expenses that generally come along with kids – activities, sport, uniforms, book lists for school etc. But this post is more about the day to day living expenses so I haven’t included them in this list. Are there any other expenses you think should be on the list? Found this post helpful? Let me know in the comments below! You have done a great job on this, Reeva. This is a good reflection of the costs here in Perth. I would add that it really helps to shop around for best deals with regards to insurance and that you should chance the insuance yearly. Don’t keep you short term insurance the same year after year. And, we had a shocking experience with reverse cycle in winter. We had a 100% increase in our bill! If people do not have to use their reverse aircon, don’t. What does your husband do for a living and your salaries? I’m qualified Millwright Technician so I will have to choose and it would be electrician then. My wife normal PA. I find it do difficult toake a decision to immigrate..we from Somerset West Cape Town. Lifecis getting really expensive on side!!! Good points – although if you use public transport you could swap over the fuel cost to train/bus costs (there or thereabouts). With credit cards – if you haven’t got the money, don’t spend it! That’s a luxury to me and so variable for everyone so not really something I could quantify for this post. Thank you for doing this Reeva. Only last month I was wishing you would update the last post on this subject. Thanks Cilla – love your blog! Are you in Australia permanently now? This is a really great article and worded really well so as not to bog it down with too much detail. It will give immigrants a pretty good snapshot of what to expect. I think the electricity costs will vary hugely between households. It is great to have people that want to help others like this and take time out of their busy lives to be proactive in this way. I have been here so long that I didn’t ‘need’ the info but it was so well written I wanted to finish it all!!! Thank you Nicola! That’s an awesome compliment! Very nice post. Thank you. Can help with the schooling and daycare costs please? I have 2 kids , 2 and 7 yr old. Thanks Naveen! I’ve recently written a post about child care options but one on schooling and costs would be good too – I’ll add it to my content plan! Really interesting. I am sitting here doing a comparison to our life in the U.K. Is your mom still in the U.K.? Hi Bev! No, she’s living in Ireland now, has been for some time – she much prefers it to England! Would love to hear what you think compared to the UK as I didn’t find too much difference in costs compared to the UK except for property costs. Its a great starting point for me coming from India! Would ask you more questions soon. 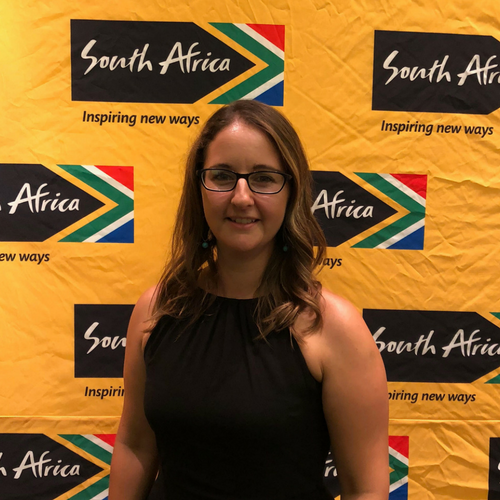 Hi Reeva, thank you very much for this useful and detailed post! Hi Simone, thanks for your kind words! Super is paid by your company at 9.5% (set by the government), however you can choose to contribute more if you wish. Other fees you may need to consider could include childcare if you will both be working, and school fees (not very much if your children attend a public school, but can get expensive if you go the private route). $140k is an extremely liveable wage here in Perth so I’m sure you can make it work. been reading a few that you post as this is the info we need. im looking to relocate on 107 a year with a family of 5 .
concerned about schooling and fees getting conflicting info some say free some pay ?????? We very family oriantated so wont be out partying and would not live directly in Perth as i would be working in MALAGA so would like to live closer to work. Is 107 a comfortable salary ? 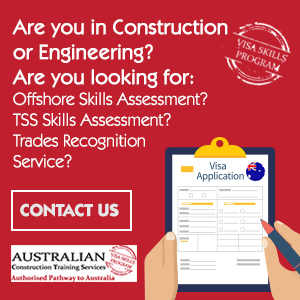 Whether you pay school fees depends if you are on the permanent or temporary visa. There is a large fee for temp visa holders but if you are on PR, you do not pay this. Schooling is not entirely free if you choose government (public) schools. Most primary schools are around $60 per year plus a booklist (from $80-200 per child per year) and uniform, plus excursions etc. Private schools range from $2,000 to over $30,000 per year depending on what school you choose. Whether that salary is comfortable depends on your lifestyle expectations. 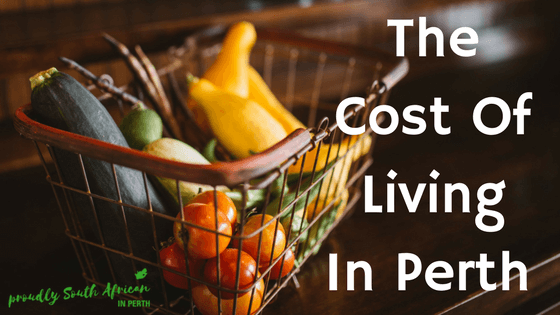 My cost of living post should help you cover the basics, but things like eating and shopping habits will vary from family to family. Pop onto the Coles online shopping website and do a typical shop for your family to see what you would spend per week on groceries. Consider what activities your kids would do and see what they cost per term and add all these expenses to your basics and see if you would come out OK at the other end. $107k is a very decent salary in Perth and many families live on much less than that. So based on a net pay of 5300 dollars per month (to cover basic expenses) one would need an annual salary of 106k minimum ?